You hear a lot of people talking about why you need a will — the document ensures that your wishes are met upon death. But wills may not be your best option and could is lacking a lot of benefits you could utilize. Moreover, a will has drawbacks that include probate, taxes and a whole host of other financial issues that generally manifest. That’s where a living trust, sometimes referred to as inter-vivos trust, comes in. Trusts allow you to access and manage your assets while you’re alive, and then transfer that power to a trustee at death. Your heirs still get your property. 1. No probate. Assets held in trust are not part of the probate process. This means your heirs will gain access more quickly and with less paperwork. 2. Privacy. Because trusts don’t go through probate, their contents are private. Only you, your lawyer, the trustee and the beneficiaries will know the extent of your assets and the gifts you have made. 3. Protection. Before property can be distributed under the terms of a will, an estate’s executor must settle any of the deceased’s debts. If you have a significant amount of debt, your heirs may be left with nothing. You may need a trust to protect your assets from potential creditors upon death. 4. Control. You can choose just how your trust beneficiaries can inherit. You can mandate that your children graduate college or marry before they get access to the cash. You can even limit what how and when the money can be used. 5. Cost. Overall, a trust may be a cheaper alternative to a will. The cost of a probate attorney can be more significant, and in some circumstances, a trust can reduce the amount of estate tax owed. 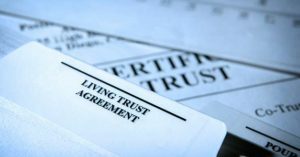 If after reading this you think you need a trust, go ahead and contact one of Meroueh & Hallman LLP’s experienced Estate Planning attorneys at (313) 582-7469. We don’t just connect the dots for our clients, we create the dots.